Officials joined relatives and friends for the funeral of five teenage girls killed last week in a fire that broke out at a recreational escape room in northern Poland. WARSAW, Poland -- Officials joined relatives and friends Thursday for the funeral of five teenage girls killed last week in a fire that broke out at a recreational escape room in northern Poland. 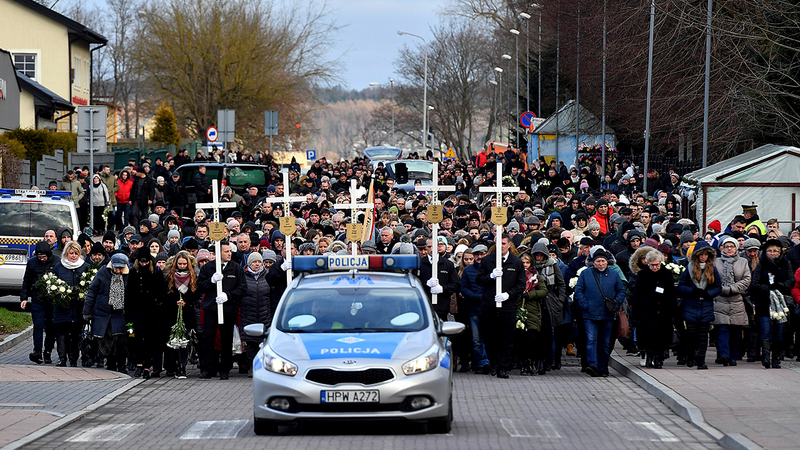 A police car leading hundreds of residents walking to the cemetery to take part in the burial of five girls who died in an entertainment escape room fire last week, in Koszalin.